だまされないように注意しましょう。 We have to be careful not to be fallen for. 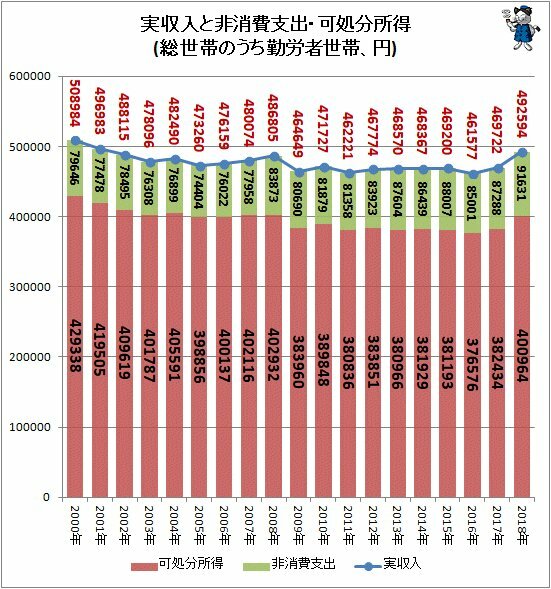 Our after-tax income has been decreased about 600,000 Yen per year in each household in the 21st century. Mr. Jitsuro Terashima, a head director of Japan Research Institute, Limited referred it in the interview or on TV. It has been confirmed by the data of the household budget survey by Ministry of Internal affairs and Communications on February 8, 2019. This explains the reason why the Government view that the Japanese economy has been growing is unrealistic. Abenomics what they call only good for companies is unprizable.